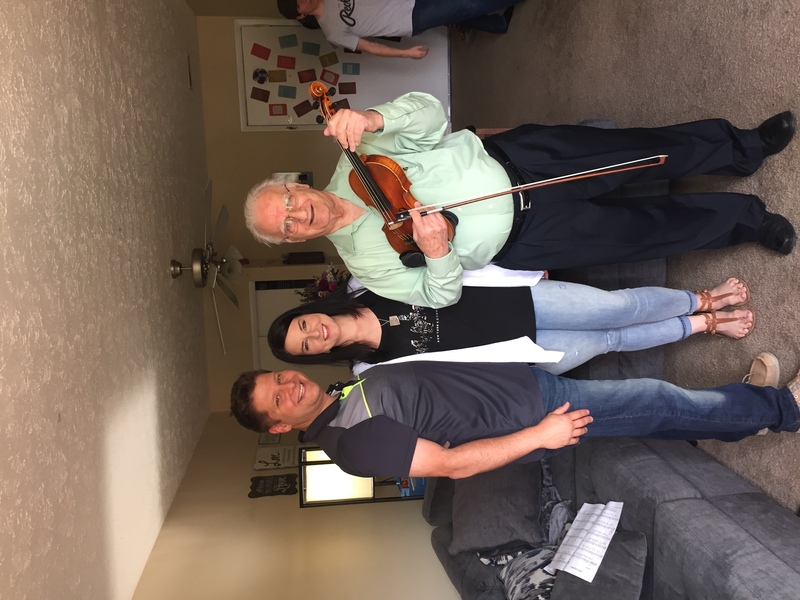 Dependable, professional violinist who entertains at: Reception, Home Party, Corporate Banquet, Restaurant, Wedding Ceremony, Reception, Wine Tasting, Cocktail Hour. Assisted Living and Nursing Home. Music Genre: Light Classical. Popular Standards, French, German, Irish/Scottish, Italian, Spanish/Latin, Holiday, Novelty. The variety in types of gigs and genre of music are further enhanced by many years of successful playing experience. Maximum travel: 90 miles from Lenoir City, TN. Special: "Unique Strolling Act" suitable for receptions, dinners, restaurants and cocktail hours. Additional Feature: Able to expand to Duo or Trio Combo for a fuller musical sound..
We had a successful and fun celebration with Al & Mike entertaining the crowd. With their professional skills and ease to work the crowd we wanted them to stay all day. Al & Mike walked from their stage area into the yard and engaged everyone to have fun. These professionals played beautifully throughout the day. I received lots of positive comments about the music but mainly how these two liked to have fun while making beautiful music. Their mood was a contagious spirit and we all had fun. GIG Salad , thanks again for having Al & Mike available for a making an a event into a memory. Suave, Sophisticated, and Elegant Music! I first heard Mr Colombo at the Main Dining Room at the Wright-Patterson AFB Officer's Club. Not only was I impressed by the beautiful and intricate melodies played, he also took requests and had a large repertoire. When my wife and I contemplated what we were going to do for music for our wedding, my first thought was Al Colombo. 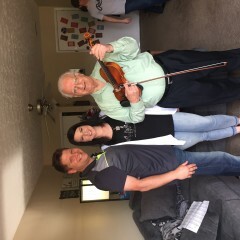 We actually had him entertain guests at our rehearsal dinner first, and then at the wedding ceremony as part of a string quartet. The elegance and ambience of the situation would not have been the same without him. Mr Colombo is a very easy person to work with and talk to. There is no doubt in my mind that your event could be transformed into something magical. Our family could not have been more pleased than the music provided by Al Columbo. 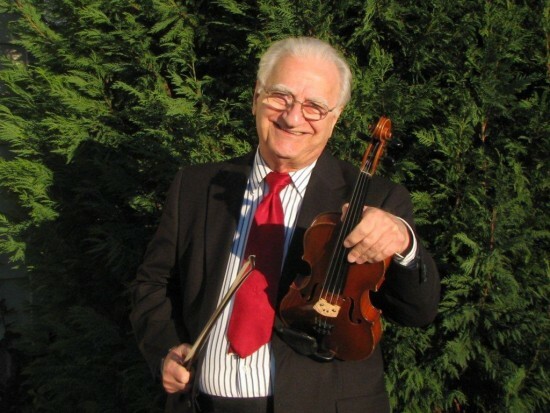 He is a talented violinist with a wide repertoire of selections for any type of event. He was responsive to phone calls and emails daily while helping me select the music that meant the most to my mother. He is very congenial and his performance was superb. Simply the best. Planning and working together is so neat and enjoyable. Of course it helps to work with nice people and that is exactly what you are. My best to you and your family. We all loved Al Colombo, he walked around the tables and played the violin and took requests we had a wonderful time, but he also knew when to pull away. I definitely recommend him. We wanted a romantic setting and that was exactly what we got. It was my pleasure to participate at your event and likewise, I had a wonderful time. I was impressed with such a receptive group, and thank you for your generosity. I am SO GLAD we booked Al for my grandmother's funeral. The funeral home offered general music from a CD through the overhead speakers, but we went with having Al Colombo come play instead and it was perfect (especially since the power went out and we would have had no music at all otherwise). Al played timeless songs that all three generations in attendance knew at just the right volume for us to hear but not be overshadowed with our conversations at the reception. 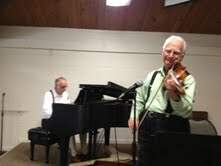 He also played selections during the service. He was very helpful in offering suitable suggestions in our planning. He arrived on time, was very professional, and played beautifully. Having him there playing really made the service special. Alison, thanks for choosing me for your very special event. It was a pleasure working for and with you. Slow dancing to two of our wedding songs in our living room. Mr C is a class act and does a great emotional version of the songs for us every year. Al did an amazing job at our wedding! All of our guests enjoyed him! He was quick to respond to any questions or comments we had. We would definitely recommend him for your event! I appreciate the nice feedback, Corinne. This was also a pleasant experience for me and I wish you and Dante a most wonderful life together. Al did an amazing job at our wedding. He played beautifully! He was very communicative about all the details for our special day. Al also responded in a timely manner whenever I had questions, which is fantastic. He knew just the right style of music to play to. Thanks Al! For our first anniversary Mr Columbo played "I hope you dance" which was our first wedding dance. The kids were not with us when we were married so for our first anniversary I wanted them to experience it. Great job. Worth every dollar. Thanks, Jeff. I'd like to say that your surprising your wife in this manner is a first class act. Way to go. Al and Mike played for a corporate lunch we were hosting. Like the times before, they provided great entertainment and the guests loved them. Thanks, Lee, for hiring us and being a gracious host. Al was available with short notice for a family wedding that I was long-distance planning the music for. He was extremely helpful and kind, offering suggestions and ideas for the music selections and flow of the program. He is a very talented musician and was the perfect choice for our family. Thank you for your generos kind spirit, Al! The music was the absolute perfect soundtrack for my cousins wedding! Our family is so grateful! Al saved us by agreeing to play for us at our wedding when our original musicians dropped out. He was lovely to work with, and did a great job! Al & Mile walked from their stage area into the yard and engaged everyone to have fun. Funeral service for my mother. Mr Al Columbo played during the receiving of friends for my mother's funeral June 10, 2014. I can not thank him enough for the beautiful music he played. His music made some of family and friends want to cry because it was so beautiful. He let me pick out favorite hymns and other selections she loved. He was very professional and easy to work with. I would definitely recommend him if you are looking for a violinist. Thanks, Melissa. That's what I do. Working with nice people sure made it a pleasant experience. Al is great! Versatile and talented! Al has played two parties in my home and does an amazing job of reading the crowd, reading the party and pulling out tunes of a wide variety and playing them well. I hired Al for my wedding and I could not be more pleased with his services! He allowed me to pick virtually any song I'd like, and he even offered to learn a song he did not currently know. I received many compliments on his performance! He was incredibly nice and passionate about doing whatever would make my special day perfect. Mr. Colombo performed at my wedding ceremony. I got a quick response from him the day I inquired about his services. He was eager to help me plan my ceremony music and was accommodating to my wishes! My mother was very impressed with the music! Everything about the experience was very professional and easy. Mr. Colombo will make your ceremony music stress free and beautiful! I hired Mr. Al Colombo to do my Thanksgiving Dinner at my assisted living facility. I aksed him to play for the guests that arrived. He was amazing! He came in, and just started playing beautifully. He strolled around so everyone could hear. It made the night perfect. I even saw him talking with the residents and he could play any song they requested. At the end of the night, he played songs for the children that were there, and entertained them as well. I will definetly hire Mr. Al Colombo again! He is well worth any amount of money. Mr. Colombo played for both my wedding ceremony and reception. He played beautifully! He even chose the musical selections which blew me and my guests away! The lovely sound of his violin playing in the background really made my wedding enchanting and very memorable. I feel so lucky to have found him for that special day. He was also very professional as he was quick to return my calls and emails and he was even early for the day of the wedding. Al was a perfect fit for our wedding. He was very professional and offered wonderful music that really added something special to our ceremony and reception. I wouldn't hesitate to recommend Al to anyone looking for an excellent violinist for their event. You will receive courteous, prompt, dependable, professional service in a relaxed easy to work atmosphere. My very flexible act and robust repertoire (over 1400 songs) allows me to perform at a variety of functions with the capability of selecting the appropriate music to suit the occasion. NEED A LARGER GROUP? A duo or trio can be provided consisting of piano/keyboard and violin, or add a bass/acoustic guitar for the trio. You can expect "your" event to be a pleasant, memorable, musical experience. "Al Colombo." My performance role and goal: to provide quality entertainment that pleases you and your guests. My melodies "linger" at the University of Tennessee Gardens; Georgia World Congress Center, Atlanta; Yacht Club at Tellico Village, TN; Pretty Place Chapel, South Carolina; Wright Patterson AFB Officers Dining Room, Dayton, Ohio; and in many cities like yours throughout the states of North and South Carolina, Virginia, Georgia, Alabama, Ohio, Tennessee and Kentucky. On this Gig Salad site you may listen to Audio and Video samples. My competitive and modest fees range from $200.00 to $800.00. A travel-time & fuel surcharge fee ($30 to $70) applies to gigs over 75 miles from Lenoir City, TN. For a fuller, enhanced sound, my Piano/Violin duo is available. The creative style of Mike (my partner) blends beautifully with my warm violin tones. Mike doubles on the accordion, we thus create another dimension to our act. We are versatile and boast a repertoire of over 1400 selections and can perform either acoustically or amplified, indoors or outdoors, intimate or corporate functions. My "unique strolling act" is very suitable for receptions, and well received as I play your guest’s requests and create personalized musical memories. They just love the "special attention" they receive. A PLUS FEATURE: (Save $) Ask me about the “special bonus package” if booked for both the ceremony and at least 1 or more hours at your wedding reception. 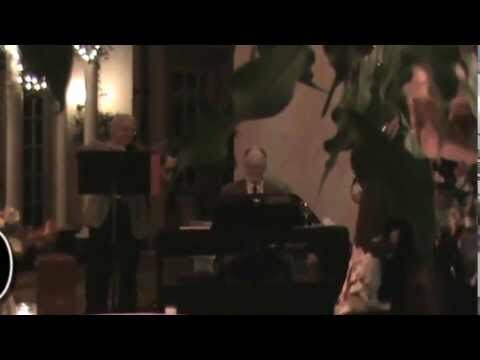 Wedding music programs are unique and special. I can plan (or help you plan) and organize yours so as to create the exact musical "mood and atmosphere" you want. Hiring a professional with years of successful experience, eliminates second guessing and you will feel very comfortable knowing that you have made the right choice. How to proceed: Email or phone me to see if we are a good fit. Conversation is free and does not obligate you. 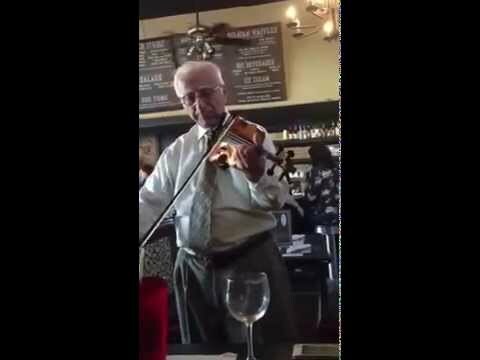 Al Colombo, professional violinist known throughout the Southeast as: "Your Favorite Violinist." PS. It would my pleasure to be your violinist for your very special event. Usually play acoustically, indoors or outdoors. My beautiful sounding violin has great projection. However, when appropriate, I have professional quality PA/Speaker system ready to use. JOSHUA BELL. Love his presentation and communication with his audience. His extraordinary talent as a violinist is appreciated world wide. Plus the influence of other artists: Sinatra, Bennett, Streisand, and the music of the big band era....the standards and show music. We do have our own sound equipment, however many times it is more convenient to use the house PA system when feasible.